A community social activist describes his experience with citizen-led relief in Puerto Rico post Hurricane Maria. I come from Puerto Rico and my family were directly caught up in Hurricane Maria’s fierce 250 km/h (155 m/h) winds, which brought about one of the worst hurricane devastations on record. Maria also wrought a more subtle destruction, which revealed itself over the coming weeks and months in the form of pervasive ‘unconnectedness’: a collapse of the electric and communications infrastructure meant a complete disruption if not life-threatening isolation for those in Puerto Rico (A recent Harvard study estimates that more than 4,645 deaths can be attributed to the hurricane). The ripples of ‘unconnectedness’ rocked those of us abroad too. 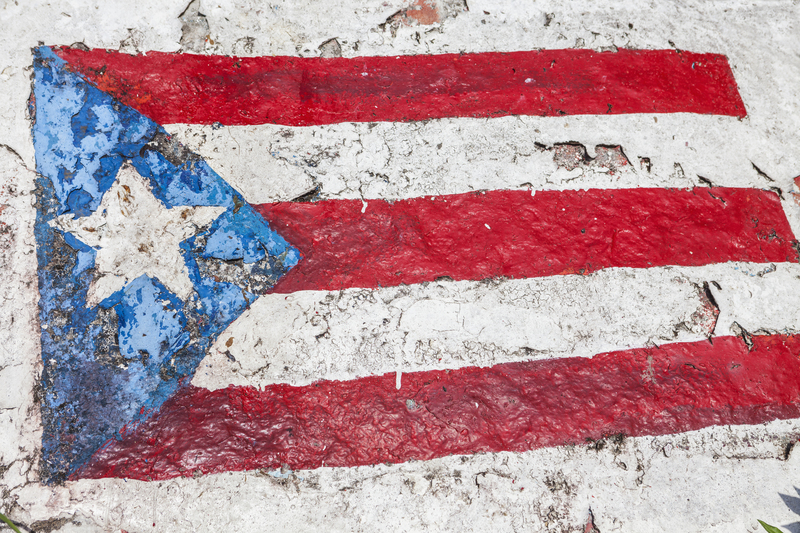 We were living between two digital realities, one accommodating connections with Puerto Rico stripped down to basics, the other dealing with a frantic increase in our connectedness as the diaspora sought to mobilize around the humanitarian crisis. Personally, the contrasts helped illuminate how we manage our relationship with technologies describing themselves as ‘social’ or ‘collaborative’ but that often are anything but. Social tools have changed how we respond to crises, allowing citizens to coordinate around shared resources and information at a larger scale and with more speed than before. When authorities are just starting to get their bearings, everyday people are forming makeshift navies to save others trapped by flooding. I experienced this hive mobilization first-hand: The day after the hurricane, I started collating all the information I found about donation drop-off points, and overnight contributors from Seattle to Atlanta started pitching in. A few I spoke to once or twice over the phone; most I just exchanged a few messages with. Together, we built one of the most complete databases of its kind in the US within a week. Two weeks after it was adopted by a spontaneous volunteer organization called the Red de Apoyo Mutuo (Mutual Aid Network), where we collectively organized – in a matter of weeks – a larger human infrastructure to support citizen-led initiatives and projects. While social media and other technologies played an important role in bringing people together or catalyzing relief action from existing networks, their impact depended on the cultural mesh and social ties underpinning it. In the context of a disaster, it meant a human support network to cope with both the crisis (many volunteers were victims themselves) while learning to function with a different digital rhythm. The groups that were successful in bridging these gaps did so by taking advantage of the flux of the moment to reframe their relationship with technology in a healthier way. Emergencies can be inflection points for culture, snapping us out of seemingly fixed social realities, into new social norms and behavior. This happened with technology: any cell phone with a signal became communal lifelines, private social feeds transformed into thoughtful public bulletin boards, and strangers turned into trust-worthy messengers. Working across time zones or late into the night meant we’d often encourage each other to log off, rest, take breaks, etc. We accepted ‘online’ or ‘available’ wasn’t a default time anymore, especially when it involved people in Puerto Rico juggling limited connectivity and no electricity; we knew to prioritize simple messaging apps over richer platforms like email, keep any necessary call times to a minimum, and not expect any immediate responses. Volunteers – even if working remotely – were cognizant on the importance of setting aside time during calls or platforms to get to know each other and assess our well-being, in order to pierce through the digital veil of isolation. After Maria, hundreds of Facebook groups, WhatsApp threads, and Twitter hashtags emerged to organize people and information. The exponential growth in connectedness prompted many communities to take a stance against digital noise like spam and unnecessary disruption (including off-topic messages or posts) through active moderation, and rules digitally pinned at the top of a page or shared with new members. Tech companies make signing up, viewing, editing, sharing, or downloading content difficult: requiring a login, pushing people to accept unnecessary notifications, or offering confusing privacy or notification settings to ensure a particular behavior, for example. Many of us were aware of the imposition of new technology, and quickly learned to differentiate between open, data-safe, or user-friendly platforms. Understanding Digital Health as Emergency Preparation. We’ve accepted social technology is critical during and after a natural disaster, so why shouldn’t social health be a critical part of our response to a crisis, or gauging recovery after? This might include coming up with the digital equivalent of emergency alert requirements or price control laws to ensure tech platforms are responsive during emergencies. Crises like the Haiti earthquake, the Japanese Tsunami, and hurricanes like Katrina, Sandy and now Maria, have been important to permanently refocus on what’s important: what truly makes societies function and life intensely rewarding. Perhaps this will also include how to be mindful for ourselves and others when it comes to connectedness.